I was in the mood for a Margarita. Since one of my favorites is this Presidente Margarita, I started to make one. 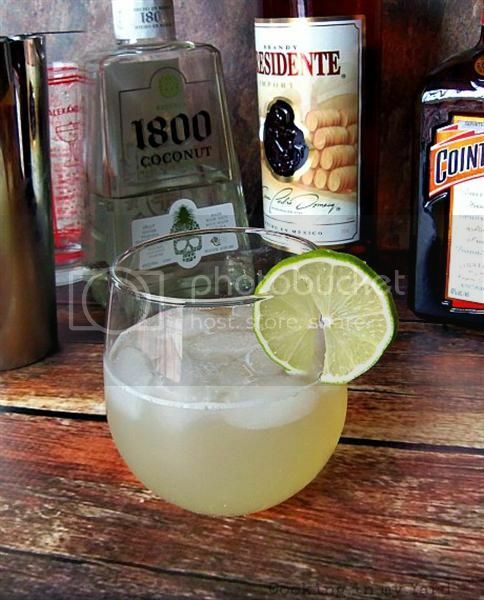 Then I saw the bottle of 1800 Coconut Tequila, and this 1800 Coconut Margarita was born! Just like that. A flash of genius. It was magical. It is also my new favorite Margarita. The coconut flavor really adds a lot to this Brandy style Margarita. Combine Tequila, Cointreau, Presidente Brandy with 4 ounces of sweet and sour mix.